Chamber Strings is the premier string ensemble at St Margaret’s Anglican Girls School, a leading private girls’ school in Brisbane, Australia. The ensemble is directed and conducted by Mr Jonathan Ng who has had extensive experience performing and conducting around the world. Chamber Strings alumnae are rising stars of the next generation of string players having performed with numerous ensembles such as Australian Chamber Orchestra, Opera Australia, Queensland Symphony Orchestra, Melbourne Symphony Orchestra, Tasmanian Symphony Orchestra, Australian Youth Orchestra, Queensland Youth Orchestra, in venues such as Carnegie Hall and the Sydney Opera House, received prestigious awards at competitions such as the Kendall Violin Competition, Llangollen Festival, Australian Brandenburg Orchestra Prize, and performed on public broadcasts such as The Voice, X Factor, and Australia’s Got Talent. 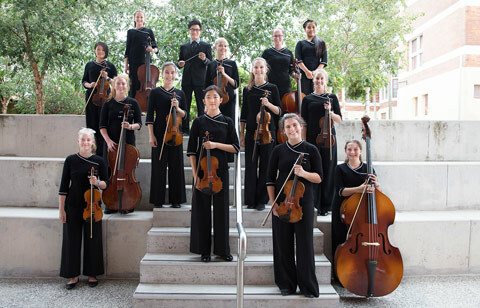 Chamber Strings performs regularly at a variety of venues including the Queensland Performing Arts Centre at which they have participated in international live broadcasts, St John’s Cathedral, and other corporate functions such as the Anglicare National Conference. In 2013, the ensemble performed with Jayson Gillham, the London based Australian pianist who was named Commonwealth Musician of the Year (2012). In 2014, Chamber Strings embarked on an international tour performing at Jardin du Luxembourg and L’église de la Madeleine (Paris), Hampton Court Palace (London), Bath Abbey, and the Llangollen Festival. Chamber Strings has also had successes in the Queensland Youth Music Awards receiving first place and Music Fest receiving platinum awards. Members of the ensemble inspire the younger string players in the school by participating in a string mentorship program. 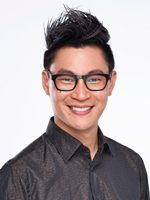 The conductor Mr Jonathan Ng is Principal Second Violin, Associate Artist, and Education Officer of Camerata – Queensland’s Chamber Orchestra, pianist for Musica Viva In Schools, and has appeared as soloist and chamber musician in numerous festivals including the Australian Festival of Chamber Music, Queensland Music Festival, Brisbane Festival, Woodford Folk Festival, and Blues and Roots Festival. He has performed, conducted, and toured nationally and abroad with Bruce Springsteen, The Cat Empire, Katie Noonan, My Fair Lady directed by Julie Andrews, The Wizard of Oz (Australian premiere), The Lion King. As a leading educator in Brisbane, Jonathan has been a member of the St Margaret’s Music Department since 2009 coordinating the Strings Program and teaching piano, is an examiner for the Australian Music Examinations Board, tutor for Queensland Youth Orchestras, and is a committee member of the Australian String Teachers Association Queensland.